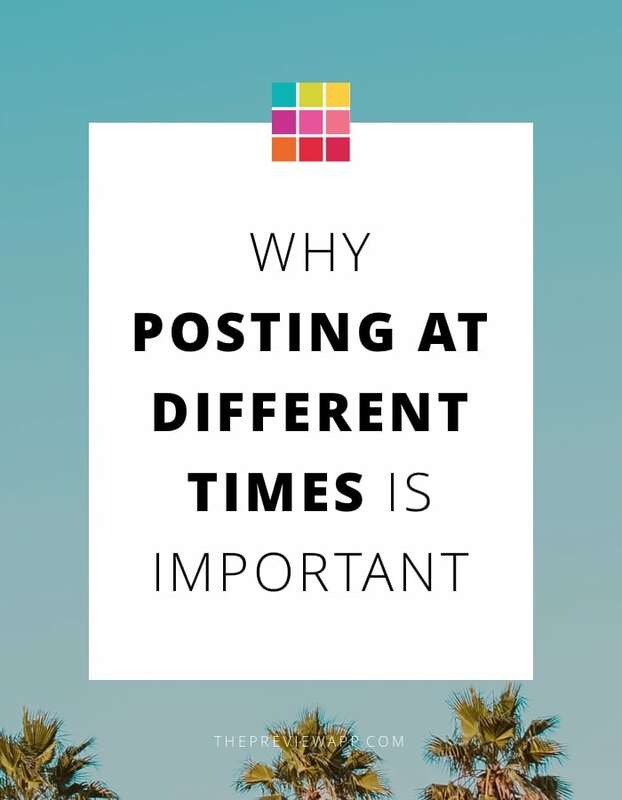 If you’re posting at the same time everyday, you might not know your real best time to post. The sweet spot is when you get the most likes, comments and engagement. If you’re posting at the same time everyday, you might be missing your sweet spot. There’s an easy way to test it out. Test posting at 4 different times. Because your analytics needs data. If you always post at 5pm, your analytics will tell you 5pm is the best time to post… because it’s the only time at which you post. Magic could happen at 8am. But you’ve never posted at 8am. Your analytics cannot test that time for you. Your analytics needs to test different times in order to know the best time to post for you. 8am for you might be 5pm for a lot of people on the other side of the world. They might be very active on Instagram at that time. And those people at 5pm might be the ones who really care about your content. I use the Instagram analytics in Preview app (if you’re new, check it out here). The app tells me the best time to post by hour and by day. It also tells me when my followers are the most active. This is what I do to test my best time to post: I pick 4 different times. This is a good start to test your best time to post. For the next few days, I will post on Instagram at these 4 different times. Preview app will automatically adjust my best time to post (and best time to interact with my followers). In no time, I will know the accurate best time to post on my Instagram account. As I continue to post at different times throughout the week, Preview will also tell me my best day to post on Instagram too. This is important information, especially if you are a business. You know exactly when your audience is the most active and when they love to interact with you. So if you are running campaigns and promotions, you know exactly when to schedule your posts. Try posting at different times with your account, and let me know how you go. Note: If you’ve already posted at different times, Preview will analyse your past data so you don’t have to do it again when you start using the app. Unlike other Instagram Analytics tools, Preview app will analyse your past data in seconds. Instagram is all about experimentation. Let me know in the comments if you have any questions.